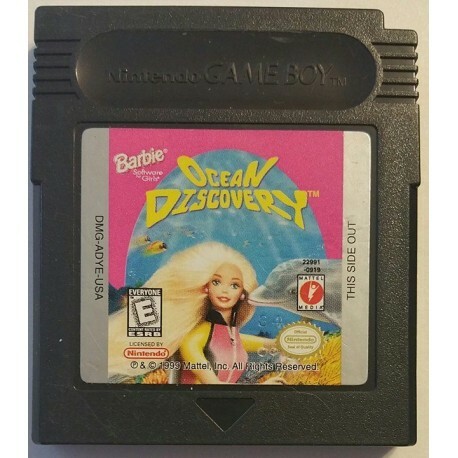 A huge underwater world awaits Barbie in BARBIE OCEAN DISCOVERY for Game Boy Color. 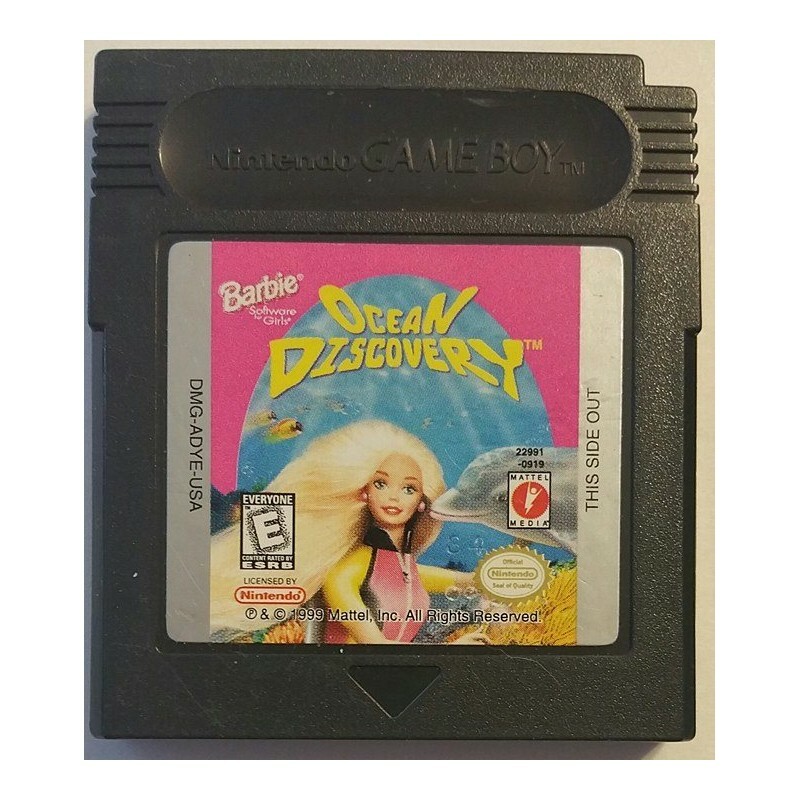 In this one-player only game, Barbie dons scuba gear and heads underwater in pursuit of treasure hidden in the deep. Search through three different aquatic environments with a total of nine mini-games to play. If you beat a mini-game, you'll earn a part of the key to the next area. Once you've beaten a game, you can go back and play it any time to earn some extra treasure. Mini-games include a tile-based mix and match puzzle, an aquatic maze featuring one of Barbie's flippered friends, and others. 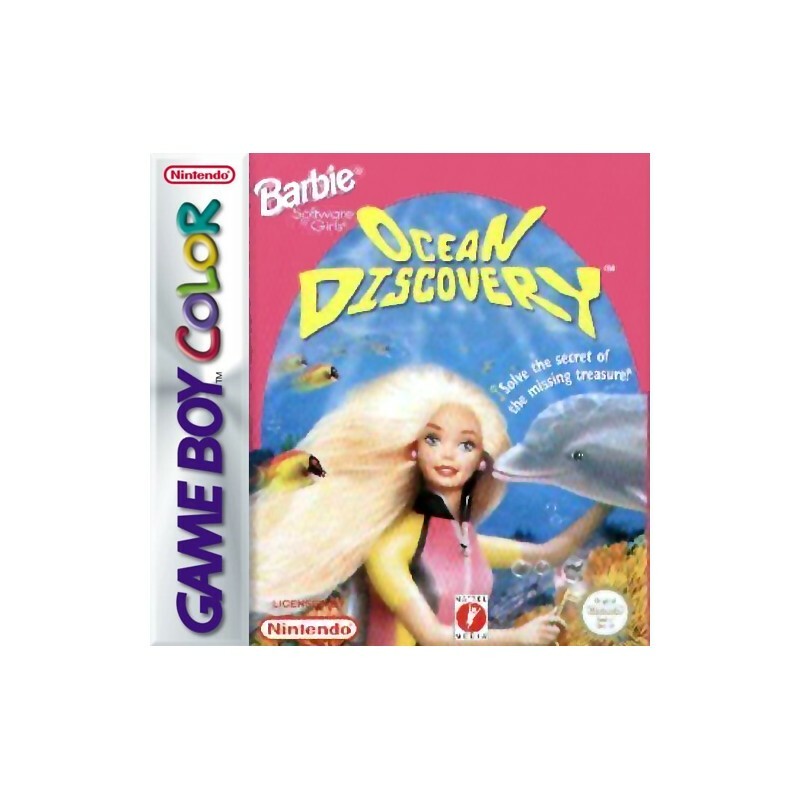 All of the mini-games are relatively simple, so that even young Barbie fans can enjoy the game. Bright, detailed graphics bring Barbie and her underwater world to life. Use a password to continue your marine adventure another time. 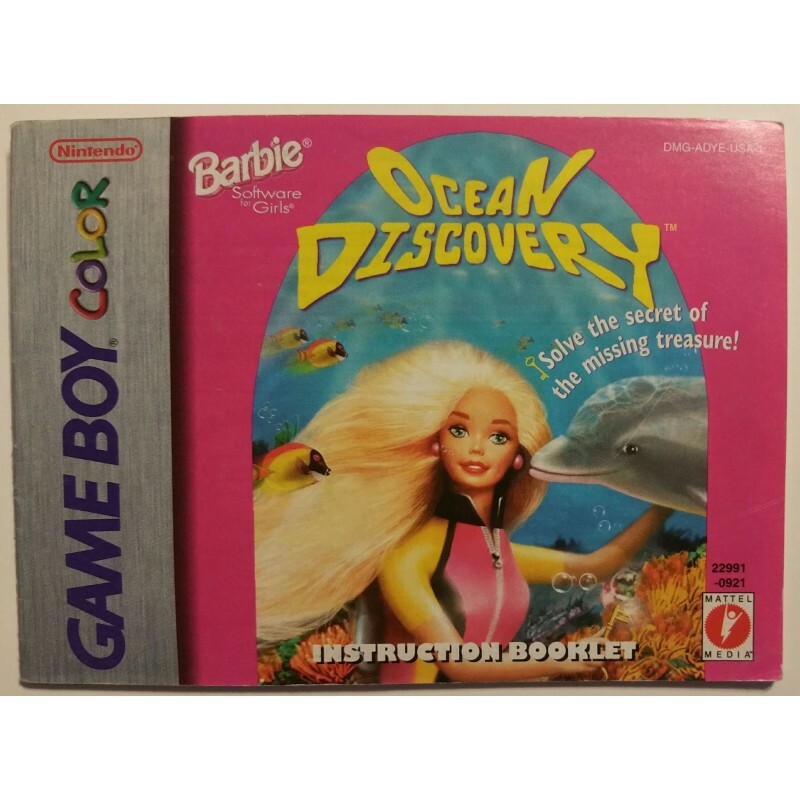 BARBIE OCEAN DISCOVERY is compatible with both Game Boy and Game Boy Color.